Angelique is a model for an infomercial. 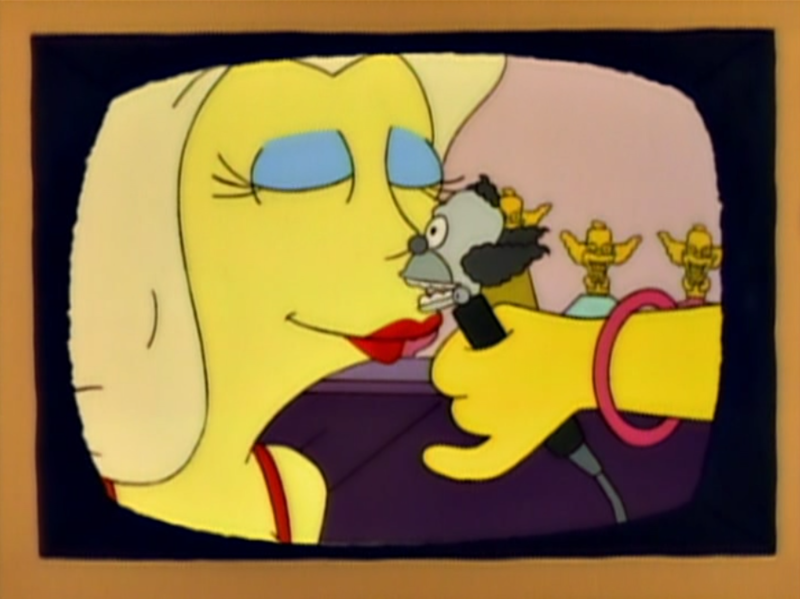 Johnny Unitas hosted an infomercial for the Lady Krusty Mustache Removal System. A model who used the device on her upper lip, Angelique, was asked by Unitas what she thought of it. Angelique responded, "Krusteriffic!" She asked if her upper lip was supposed to bleed, to which Unitas tensely replied, "Probably." Modified on April 17, 2015, at 16:54.